I have tried to get others to discus scripture that says differently but I can not get anyone to talk of those verses. They will tell me to get saved, that I am spiritually blind therefore can not understand the truths of scriptures. I get references on good books to study, get told to go study this chapter or that chapter in the Bible, yet no one of them will address the verses I put forth. I ask over and over again for them to discus the verses I bring so that I can understand where they are coming from. Not one of them will do it. At that point they say talking to me is a waist of time. I get told is does no good to speak of specific verses in the Bible. Whoops! I thought that was what Christians did. Would anyone who believes scripture teaches that Christians can not be perfect, and be those who continue to struggle with sin are covered by God’s grace pleeeeease dialogue with me. If you believe that by simply being in Christ Jesus we are no longer under condemnation, pleeeease converse with me. If you believe that we are righteous as He is righteous apart from anything we do, pleeeease have a conversation with me. If you believe that being born again is simply the act of our sins being forgiven and has nothing to do with what we do, pleeeeease chit chat with me. If you believe that our behavior as believers have nothing to do with our salvation, I want to talk to you. I have gotten plenty of Christian opinions about scripture and nobody wants to talk about the scripture I bring up. I only get summations of their opinions on scripture. Many have stated what their opinion of the message of scripture says, but they will not tell me what they think about the scripture I bring up to get to that opinion. 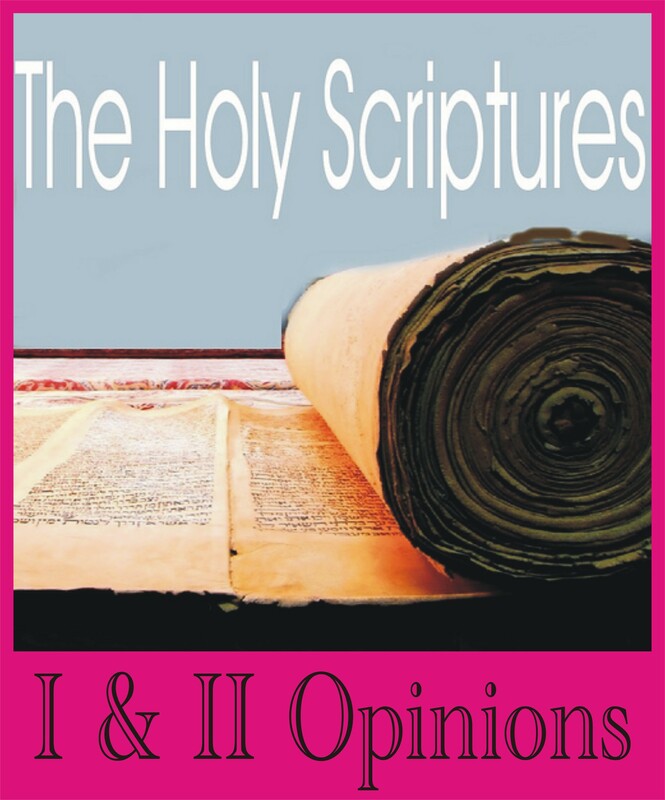 Consequently I have discovered the most quoted books in the Bible ,I & II Opinions. Does anyone want to talk about the others? Dave: If your speaking of 1 John 3: 9? It is simply a must to look at the Greek original, but perhaps the ESV Translation also gathers the meaning and interpretation: “No one born of God makes a practice of sinning, for God’s seed abides in him, and he cannot keep on sinning because he has been born of God.” And then verse 10 also more fully expresses this: “By this it is evident who are the children of God, and who are the children of the devil: who ever does not practice righteousness is not of God, nor is the one who does not love his brother.” Btw, the Greek word here for “seed” is “Sperma”, which in the context of 1 John here is used metahorically and by metonymy, as our spiritual posterity or offspring in God. Here, seed or “sperma” signifies the principle of spiritual life as given or imparted to the believer, “which abides in him without possibility of removal or extinction; the child of God remains eternally related to Christ.” (W.E. Vine, his ‘Expository Dictionary of New Testament Words’).